← Coming Soon – February 2! Rickie Higgins will be one of the artists present at Riverchase Loves Artists on February 2. This art show takes place INSIDE at Riverchase Country Club in Hoover. 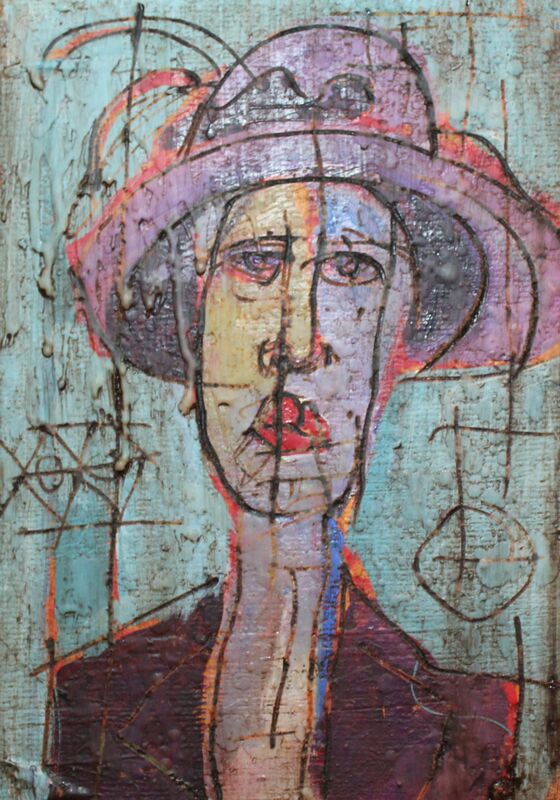 In the past couple of years, Rickie Higgins has expanded his portfolio to include mixed media and continues to experiment with different processes as well as painting with oils to create large, colorful pieces of work. Creativity, imagination and passion are present in his expansive portfolio. 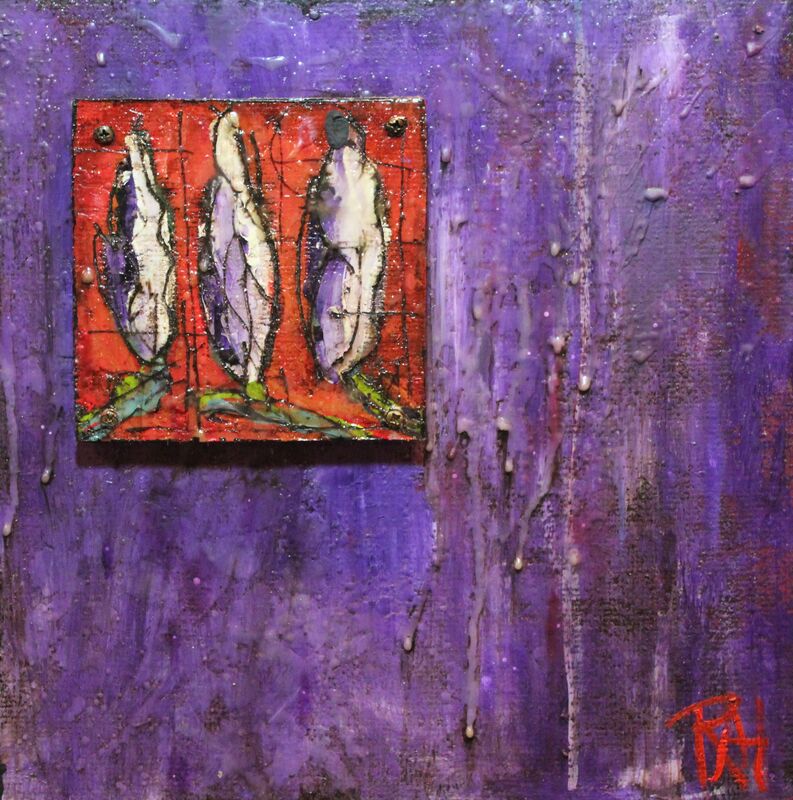 The beauty of vertical spaces with hints of unexpected color is the driving force behind his mixed media works of art. The artist lays down layers of paint on tarpaper and then cuts back into the surface forming unexpected organic lines. Then he applies wax and rubs it with an oil based glaze to create texture. It’s exciting to watch the pieces come together as Rickie is guided to new opportunities through both imagery and medium, to create spaces that are skewed vertically, yet visually believable. Whether a lone chair, a vintage icon, or an abstract face, vertical lines find their place in the composition. Through his artistic talents and imagination, Rickie is able to fully express himself on the canvas. While some of his work is featured above, you can visit his website to learn more … at http://www.higginsart.com. He is also on Facebook – search for HigginsArt and can be reached through email at higginsart@me.com.